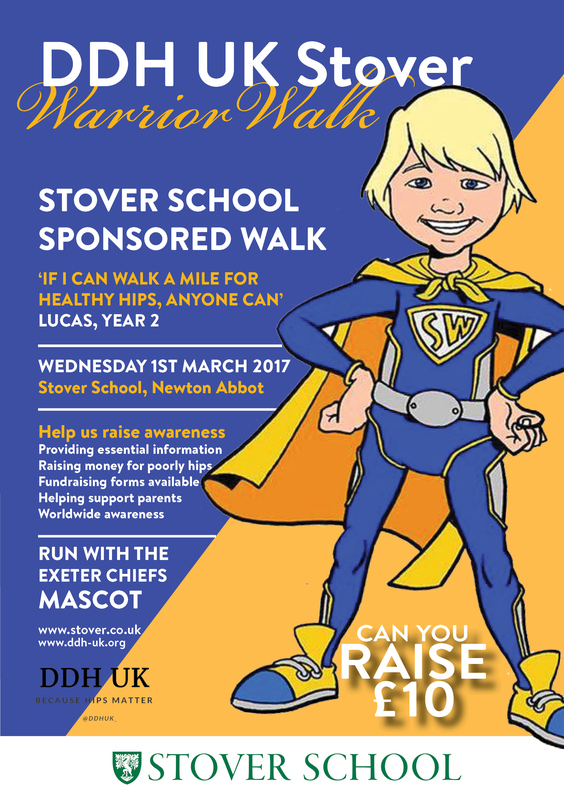 Lucas Trice, a brave Year 2 pupil at Stover School, has spent much of his life being treated for hip dysplasia (DDH), but this won’t stop him walking a mile in aid of his charity, DDH UK, on 01 March with his classmates. When Lucas was diagnosed with the chronic condition aged four months his mother, Natalie, was amazed at how little information and support there was for parents. Developmental dysplasia of the hip (DDH) occurs when the hip-joint fails to develop correctly and it is 2 to 3 in every 1,000 infants will require treatment. Lucas was one of those children and to date he has had five major operations and spent over a year in casts, harnesses and wheelchairs. Whilst caring for her son Natalie also wrote Cast Life, a book for parents and founded the charity which are both resources she wishes she’d had and ones that are now helping people around the world. of hip dysplasia, Stover School will be joining forces with DDH UK and ‪on 01 March and all pupils and teachers will be walking one mile around the grounds. For more information about DDH and to take part in the Warrior Walk go to www.ddh-uk.org or email natalie@ddh-uk.org for the sponsor forms and marketing materials.